Available in 27" and 29"
Take on moderate to heavy snow on medium driveways and pathways. 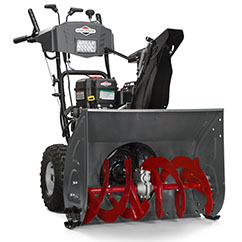 Durable frames, reliable engines, and added features make snow removal quicker and easier. Added features such as push-button electric start and Free Hand™ Control add convenience and help make sure your snowblower is easy to start and use when you need it.